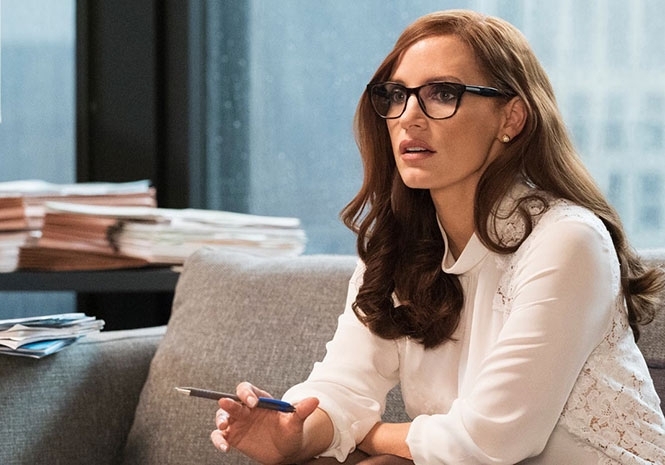 Jessica Chastain did a superb job of portraying the real-life protagonist Molly Bloom. “[Life] is a very mean and nasty place and it will beat you to your knees and keep you there permanently if you let it.” These prophetic words belong to Rocky Balboa and were meant to motivate his son to “keep moving forward” despite being beaten to a pulp by life. Based on a real account, Molly’s Game lives by these words as it is a story about fighting through life. It’s no ordinary side-hustle story. It’s a dramatic representation of the make and break of a parallel universe of poker games so exclusive that players enter a game with more money than the average American makes in three years. Molly’s Game is about ups and downs: the nasty kinds. It’s about a shot at the Olympic gold followed by the fall of becoming a cocktail waitress and a personal assistant to a neurotic and failing businessman. It’s about a multimillion-dollar bank account followed by answering the door to over a dozen FBI agents pointing semi-automatic rifles at her face. End of story. But is it? During the painful and exhausting days following the fall of her poker reign, Molly needs to fight a difficult battle — the one against herself. The resolution of the story presents Molly with the choice of federal prison time or giving up on her integrity — the only thing that she has left in the world. So, which one is it? While Molly’s Game has a little resemblance of a same old, same old happy-ending Hollywood blockbuster, this one, too, concludes much the same. At least for those that got off easy. Ski and snowboard-related injuries can be life-altering in a painful way. The story itself is as dramatic and suspense-filled as it gets, and so the overall feel of the movie is that of uneasiness. One of the ways that debuting-as-a-director Aaron Sorkin has managed to achieve this effect is through muted light, with an almost nonexistent natural glow. Even the few outdoor scenes rarely allowed for a bright setting. The opening of the movie shows Molly fighting through a snowy blizzard while the only other scenes that would call for natural light — her meetings with her lawyer Charlie Jaffey (Idris Elba) — showed an overcast through the huge windows. Few of the shots feature more than three people (usually it’s just two) further adding to the feeling of solitude, but not the one that comes when a person willingly seeks to escape from the world. It’s more of the injured lioness type — the one where everybody stays at arm’s length from the failing one. Regarding cinematography and sound engineering, you shouldn’t expect something superb. The movie tells the real story of a person’s struggle through life, and there are no action-packed scenes, save for a few times. There are no exceptional shots either, with the camera almost focusing on the characters at play. The same applies to sound. The movie is narrated by Molly, so there is not much background music or elaborate sound effects. Flashy camera and sound work would be too distracting for the movie plot. Besides, Jessica Chastain’s narration goes so fast that it’s hard to pay attention to what’s happening anyway. Overall, Sorokin’s directorial debut works — the film doesn’t call for anything fancy, with the wow moments being left for the story and how the actors play it out. It’s a safe choice for somebody who has just tipped his toes in the directing lake. The “poker princess” Molly Bloom is played by Jessica Chastain, who plays the role superbly in the movie. After all, she has already proven herself in past productions such as Woman Walks Ahead, Miss Sloane and The Huntsman: Winter’s War. Besides, more of the story goes around the narration with acting taking a supplementary role — something that didn’t strike a chord with some critics. The movie opens with Molly’s account of her father — a control-freak psychologist that always pushed his daughter to strive for the best, even when it wasn’t appropriate. In the movie, the role of Larry Bloom is played by none other than Kevin Costner, known for starring in Dances with Wolves, The Bodyguard and 3 Days to Kill. The name of Idris Elba (Pacific Rim, The Jungle Book, American Gangster) also shines among the credits. The British actor plays Charlie Jaffey, Molly Bloom’s attorney and the only real ally of the former poker queen. Elba’s character doesn’t call for extraordinary acting, though there are a couple of passionate, emotion-inducing speeches that are effortlessly delivered by Elba. Even months after watching the movie, the plot still feels surreal. The director/screenplay writer Aaron Sorkin did an excellent job of unveiling enough to keep viewers asking for more. So many questions linger, though most of them could only be answered by Molly Bloom herself. If you are into shadowy personal stories, this movie is one for you.